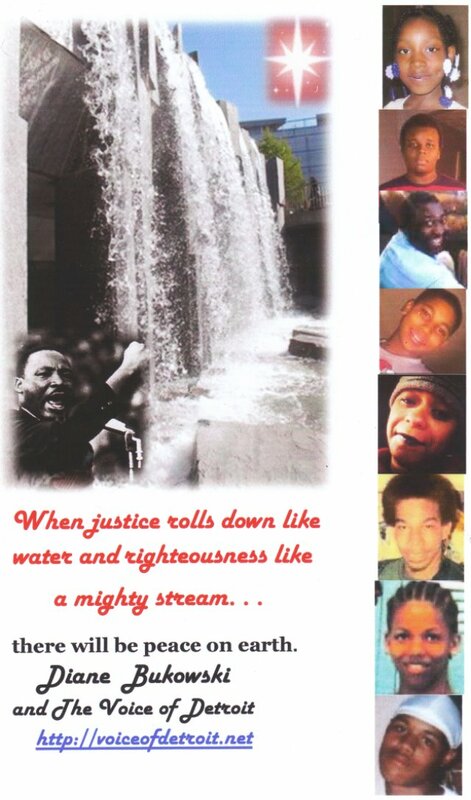 (top down) Aiyana Jones, Detroit, 2010; Michael Brown, Ferguson 2014; Eric Garner, NYC, July 2014; Tamir Rice, 12, Cleveland, 2014; Aura Rosser, Ann Arbor, 2014; Lamar Grable, Detroit, 1996; Brandon Moore, 16, Detroit, 2006; Artrell Dickerson, 18, Detroit 2007. Aiyana Jones’ extended family, including numerous young children whose parents have had difficulty finding employment, has nothing for the holidays. VOD is appealing to the community not to forget them. 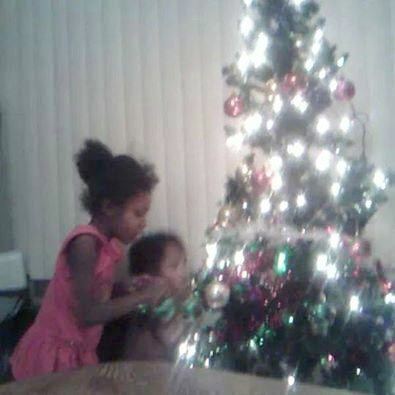 Young Aiyana with little brother during a happier Christmas before she was killed at the age of 7 by Detroit cop Joseph Weekley, Jr.
Checks and money orders should be made out to “MERTILLA JONES” (Aiyana’s grandmother), and sent c/o Voice of Detroit, P.O. Box 32684, Detroit 48232. Since there has been so much false information on the Aiyana Jones case propagated by Detroit’s local mainstream media and others, a listing of previous extensive VOD coverage is included below, after the “more” tag. VOD was there the morning Aiyana was killed on May 16, 2010, and has covered virtually every related event since. Now at this time of heightened awareness regarding the extent of police killings and atrocities committed against Black and Brown people, please let us not forget little Aiyana Jones and her family.